Confirmed keynote speakers: Rachel Mairs, University of Reading; Siobhan McElduff, University of British Columbia; Oliver Taplin, University of Oxford. The thematic area Traveling Texts. Translation and Transnational Reception at the Faculty of Humanities at the University of Oslo is organising a two-day workshop on the broad topic of translations of Greek and Latin texts in antiquity and in modern times. The focus may be on translation as linguistic transfer and/or as cultural reception, and contributors are encouraged to incorporate methodological perspectives even when discussing case-studies. 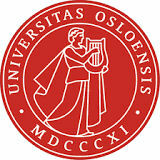 The workshop will take place at the University of Oslo campus (Blindern) on 1-2 December, 2016. The first part of the workshop will seek to explore translations of Greek and Latin texts in antiquity. The direction of the translation can be from Greek to Latin (or vice versa) or from Greek/Latin to other ancient languages (Egyptian, Syriac, Arabic, Armenian etc.) and vice versa. Ancient theorising on translation, translation terminology, and practice are interesting in equal measure, while papers on translation between Egyptian and Greek are especially welcome. The second part of the workshop is devoted to translations of ancient literature into modern languages. Who translates Greek and Latin texts, which ones, how are translations initiated, and why? In the case of retranslation: how do new translations relate to existing ones, and how are they influenced by them? For example: when do retranslators keep close to earlier translations and when do they seek to innovate? Papers on translations of epic and dramatic texts are especially welcome, as are ones on translations of oratory and rhetorical theory. Oliver Taplin, University of Oxford. Papers should be 30 minutes long (20 and 10 minutes for discussion). A publication is planned. Abstracts of up 250 words should be sent to Dr Tor Ivar Østmoe (t.i.ostmoe@ifikk.uio.no) by 15 December, 2015.